Send your ad dollars further, track them as they reach new households and watch as they nudge new customers your way. With Valpak of Reno and Northern Nevada behind you, advertising on and offline is cost-effective and affordable for businesses of all sizes. Let us introduce or reintroduce your brand to as many as 100,000 qualified households in Northern Nevada. We’ll work with you to design a printed piece that works best for your brand. Choose from coupons, cardstock, multipanel flyers and many additional formats. And complement it with one of our robust digital products. Track your return on investment with greater accuracy through our exclusive tracking tools. Analyze the quantity and quality of phone calls that result from your printed pieces, along with the clicks and activity generated by your digital ads. Our tracking tools offer unbeatable proof of performance and insights about the people who respond to your Valpak advertising. Valpak of Reno and Northern Nevada can get you directly into the hands of qualified households in Reno, Sparks, Winnemucca, Sun Valley, Incline Village, Yerington and other cities in northern Nevada. Call us today to learn more about our advertising options. For specific dates and coverage, contact your Valpak of Reno & Northern Nevada representative. 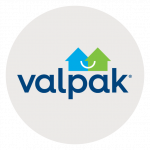 Valpak of Reno & Northern Nevada is an independently owned Valpak franchise.